For decades, osteoarthritis (OA) has been considered a part of aging. But not anymore. Recent research points out that older people don’t have to suffer from osteoarthritic pain. And, surprisingly, people much younger than 65 can develop osteoarthritis. Arthritis means inflammation of a joint. There are over 200 types, with the two most common being 'Osteoarthritis (OA)' and 'Rheumatoid Arthritis (RA)', but there are other relatively common types as well. 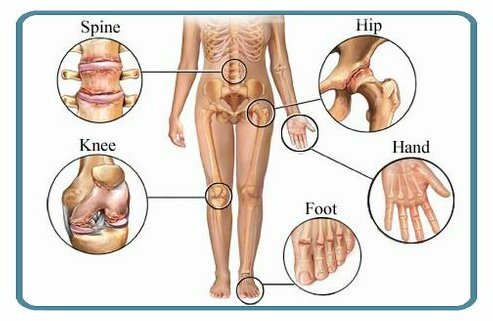 On this page we are going to talk about osteoarthritis, which is the most common form of arthritis. Osteoarthritis has many names: arthritis, spondylitis, rheumatism or rheumatics... are some of the names given to the pain and stiffness resulting from it. Osteoarthritis (OA) also referred to as degenerative disc disease (DDD) or degenerative joint disease (DJD) if it affects joints, strikes more than 20 million north North Americans and is more common in women than in men. The disease affects the cartilage — slippery tissue on the ends of bones that meet in a joint. It mainly affects the weight-bearing joints, for example: the spine, hips, knees, ankles and joints in the hands. Normally, cartilage helps bones glide over one another. In an OA patient, however, the cartilage is broken down and eventually wears away... hence, the terminology of 'wear and tear'. As a result, instead of gliding, bones rub against each other, causing pain, swelling and loss of motion.1 Although the majority of patients with OA are 65 and older, recent research shows that osteoarthritis is not a by-product of aging. Family history of OA, being overweight, lack of exercise, and prior joint injuries are suggested as OA risk factors. The spinal intervertebral discs (IVDs) are the first to undergo changes (degenerative disc disease or DDD), usually around the age of 40, followed later by the spinal joints and bony vertebra from the ages of 50-60 onwards. 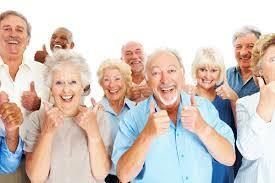 Normal degeneration is usually well-established by the age of 70. Click here for video, "What is a Herniated, Bulging or Degenerative Disc?" Characteristically, the IVD will lose its ability to absorb fluid as the chemical makeup and internal architecture of the disc changes in response to repetitive stresses. As a result, the normally resilient disc will become tougher, more fibrous and less able to respond to weight-bearing load and shock absorbancy. As a result, the aging of the discs puts greater stress on the spinal joints as well as the vertebrae themselves and eventually spreading to other skeletal joints. Wear And Tear - Can Chiropractic Help? Degeneration of your joints often begins without you knowing and it happens slowly over time to all of us. The general 'wear and tear' of a lifetime results in joints laying down extra areas of bone (calcium) in an attempt to support damaged areas. Generally our bodies compensate for this and we feel no pain up to a point. However, loss of movement in a joint due to wear and tear of the joint cartilage will eventually cause you pain. It might come and go, and then becomes more constant. When the spine is affected it may lead to pain and cause nerve irritation which could then also result in stenosis (narrowing of the spinal canal, nerve root canal or intervertebral foramina of the spinal vertebral segments compressing and blocking nerve roots) which will often cause symptoms of sciatica, pins and needles, and numbness in the legs. Chiropractic cannot stop you getting old, but it might stop you feeling it! If you experience any of these signs, consult Dr. Pisarek. While the diagnosis is relatively easy to make, it is often harder to establish whether or not OA causes the patient’s symptoms. That’s why the treating chiropractor needs to not only make the diagnosis, but also rule out other disorders and conditions that can make the symptoms worse.1 Timely diagnosis and treatment can help manage pain, improve function, and slow the degeneration. Doctors of chiropractic, by the nature of their work, can detect the earliest degenerative changes in the joints. They see the impact of degenerative changes in the spine, as well as in the hips, knees, and other weight-bearing joints. Doctors of chiropractic are also trained to relieve the pain and improve joint function through natural therapies, such as chiropractic manipulation, low-level laser therapy, physiotherapy (ultrasound, interferrential current, contrast baths of heat snd cold), trigger-point therapy and other techniques. Doctors of chiropractic can also provide exercise counseling, helping you choose exercises that are best for you. If a sore or swollen joint prevents you from exercising, talk to your doctor of chiropractic about other drug-free pain-relief options, such as applying heat or cold to the affected area. In addition, your doctor of chiropractic can help you choose proper nutritional supplements and an anti-inflammatory diet that play important roles in OA prevention and treatment which is directed towards. Click here for "Glucosamine and Chondroitin Sulfate Supplements for Osteoarthritis: Do they help?" The symptoms of arthritis are also commonly treated with medically prescribed or over-the-counter (OTC) non-steroidal anti-inflammatory drugs (NSAIDs), which don’t stop the progression of the disease and have risks associated with them, but sometimes helps to relieve the pain often temporarily. However, chiropractic treatment is considered by some people to be more effective in the long run. It has been suggested that chiropractic can prevent further arthritic development and regular treatment can even prevent osteoarthritic changes occurring in the first place. All we know for sure is that many of our patients say that it helps them feel better and they seem to be able to stay more active and independently take care of themselves better in the long-run. There is no real strong evidence that degeneration of your joints cannot be reversed, but your chiropractor can help improve muscle and joint function and therefore reduce the symptoms of arthritis. Exercise, both supervised and self-directed, is one of the best forms of OA treatment— and prevention. It strengthens the muscular support around the joints and improves and maintains joint mobility and function. In addition, exercise helps control weight and improves the patient’s mood and outlook— important factors influencing the severity of the symptoms. During our lifetime, our spines are required to withstand considerable weight-bearing stresses resulting from activities of daily living. As a result of these stresses, ‘wear and tear’ or degeneration occurs in all parts of the vertebral column. Degeneration which occurs in the spine as a consequence of daily living is considered part of the normal aging process. The overall effect of degenerative changes in the disc, joints and bony vertebrae lead to the characteristic feeling of stiffness and reduced movement of the spine. Degeneration of your joints cannot be reversed, but your chiropractor can help improve how you feel, move and walk (ambulate)... which allows you to hopefully live life to the fullest.